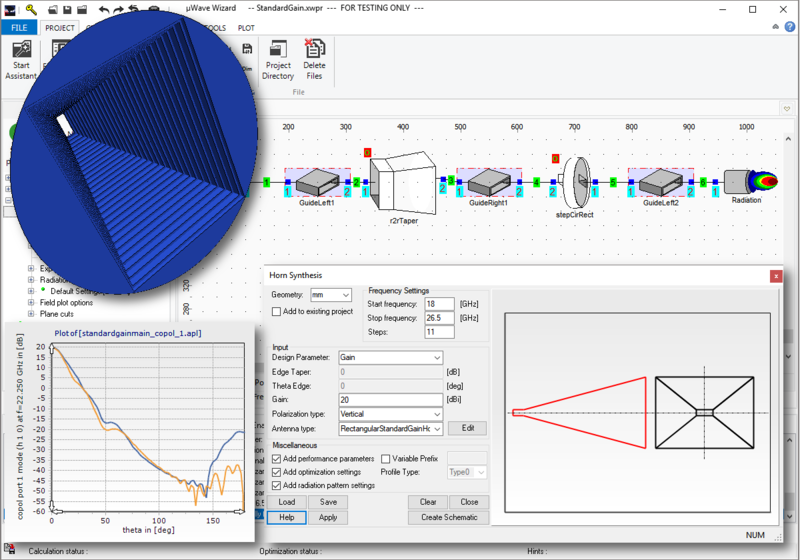 The µWave Wizard™ Antenna Edition contains a horn antenna synthesis tool and a fast reflector synthesis tool in addition to a wide selection of application specific antenna elements for simulating horn antennas and their respective feed networks. 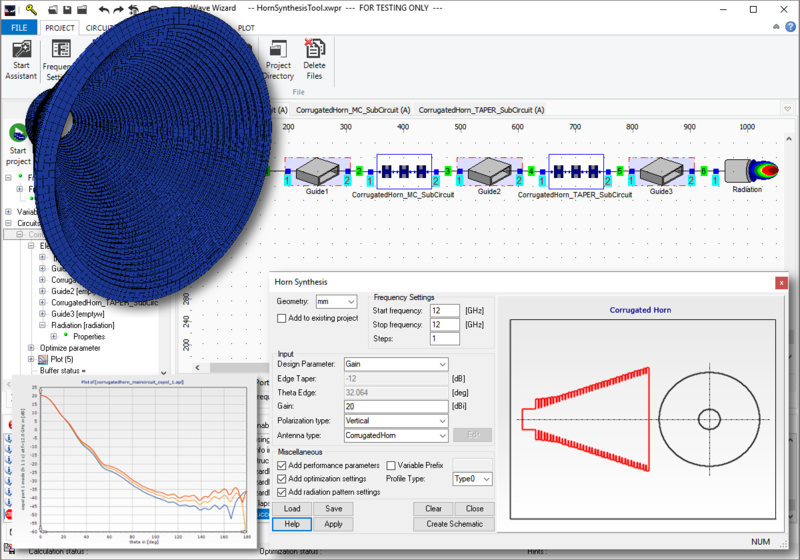 For most applications, horn antennas and their reflectors and feed networks can be simulated and optimized together as one complete assembly. 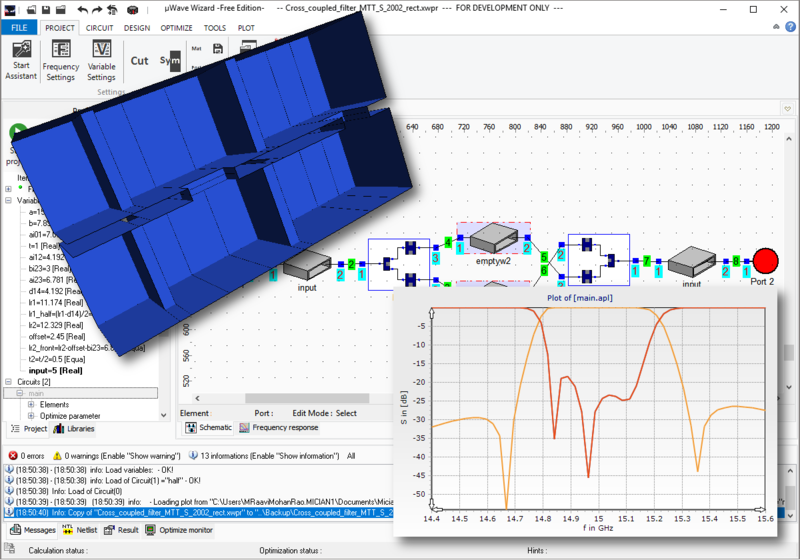 In addition to using the horn antenna synthesis tool which takes advantage of compact and fast to simulate Body of Revolution (BOR) elements, users can also generate their own individual horn antenna models through cascade of basic circular or coaxial waveguide steps of varying dimensions. 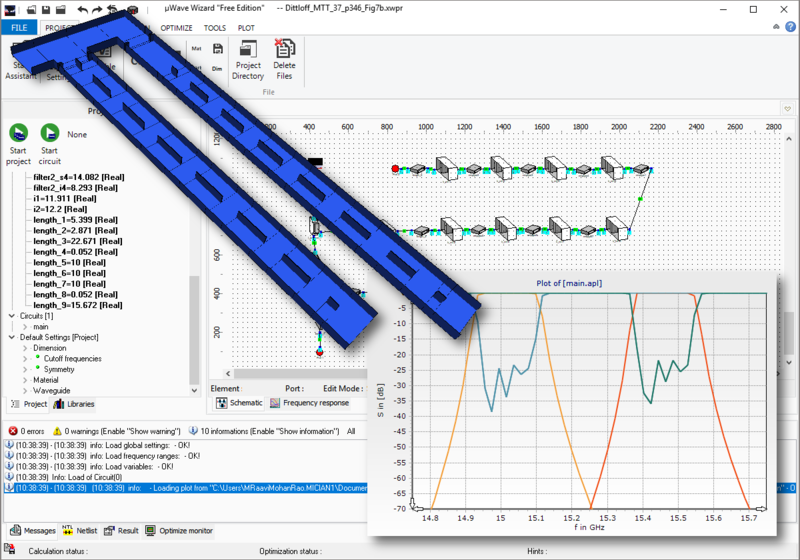 Slot arrays with moderate numbers of slots, including their feed networks, are also supported. 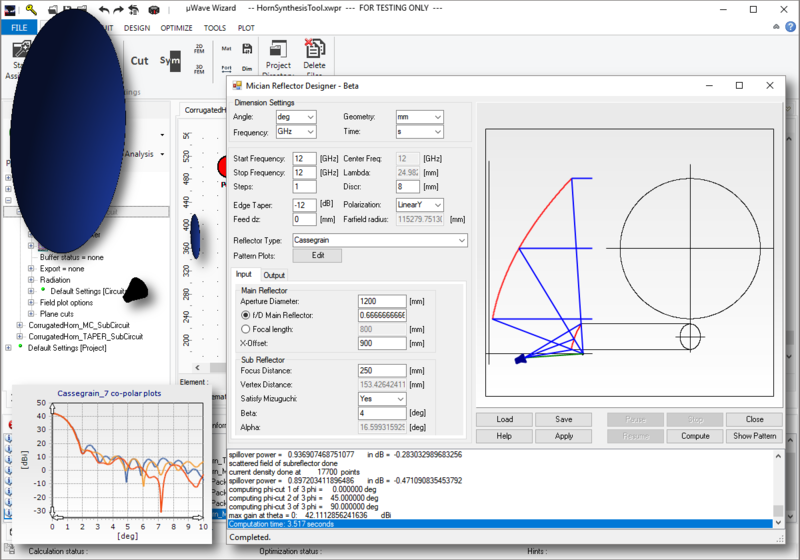 Direct access to antenna performance parameters such as maximum gain, 3dB bandwidth, phase center and other parameters results in easy to read antenna diagrams, including parameter export for post processing. 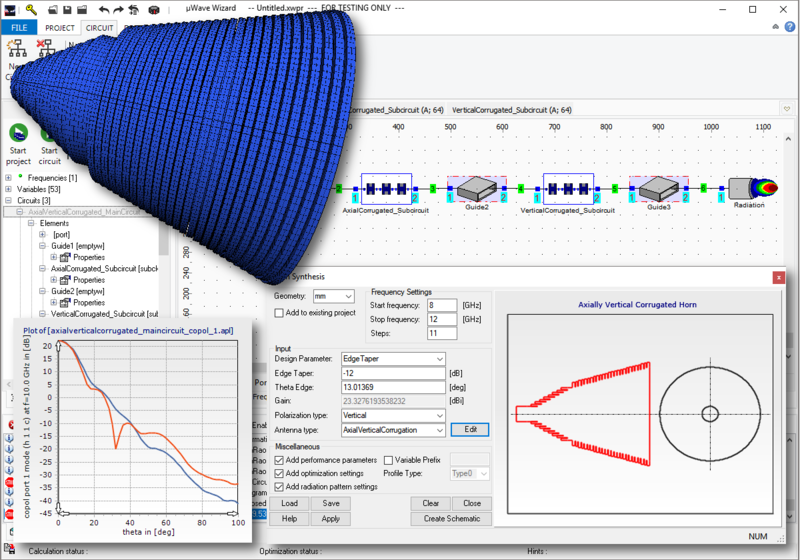 The integrated graphical Horn Synthesis tool offers a wide range of horn taper profiles (linear, Potter type, vertically and axially corrugated, ring-loaded, standard gain horns) and significantly simplifies the antenna design process. 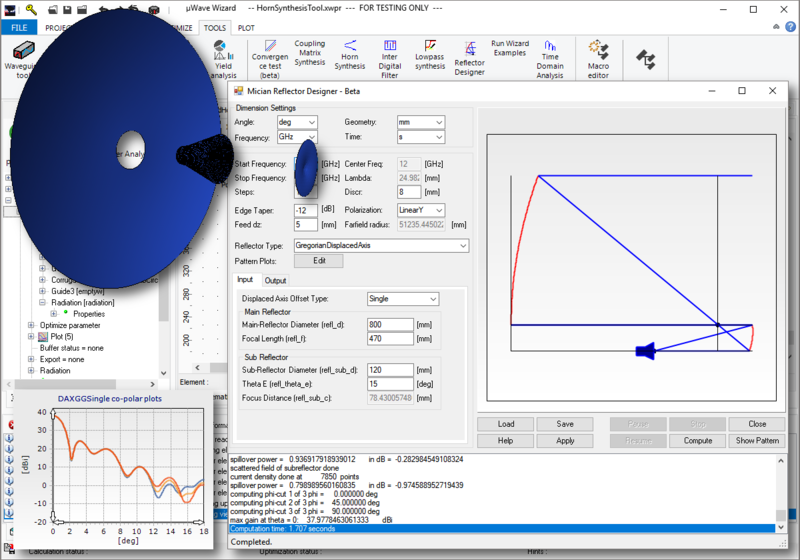 A fully parameterized representation of the feed structure can be generated with ease and goal functions for specific performance parameters (maximum co- and cross-polar gain, beam width, phase center location, side lobe level, aperture efficiency, etc.) can quickly and easily be implemented. 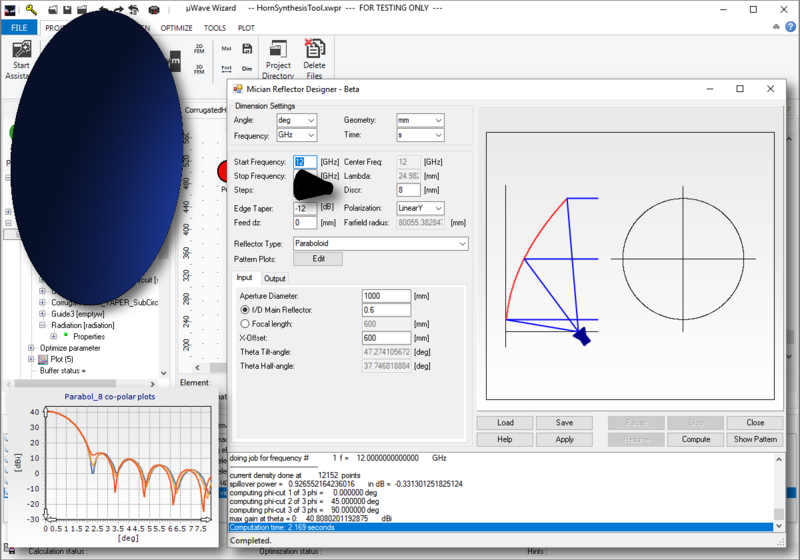 The Antenna Edition features a graphical Reflector Design tool for synthesizing standard single and dual reflector systems (prime focus, Gregorian and Cassegrain dual reflectors, displaced axis dual reflectors). 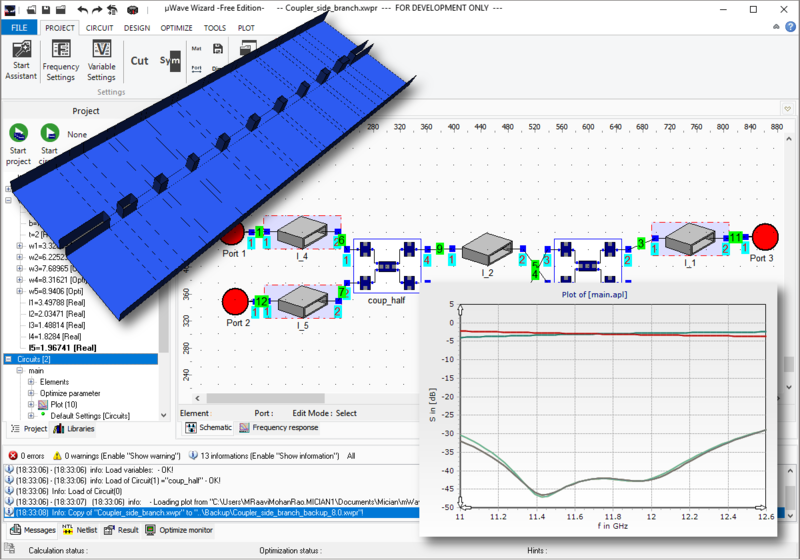 Offset reflectors are supported and access to all relevant physical parameters and coordinate systems is provided. 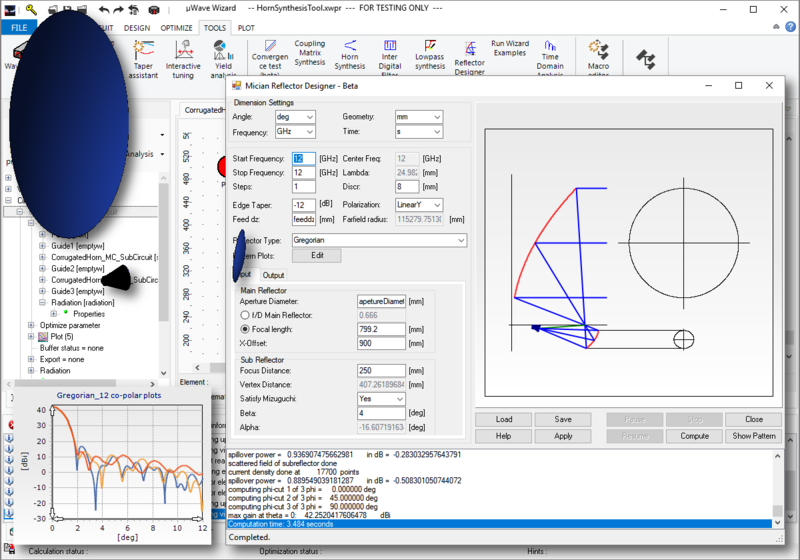 With the help of fast physical optics (PO), an initial simulation using an ideal feed source aides the user in the process of adjusting geometries to meet specific requirements. 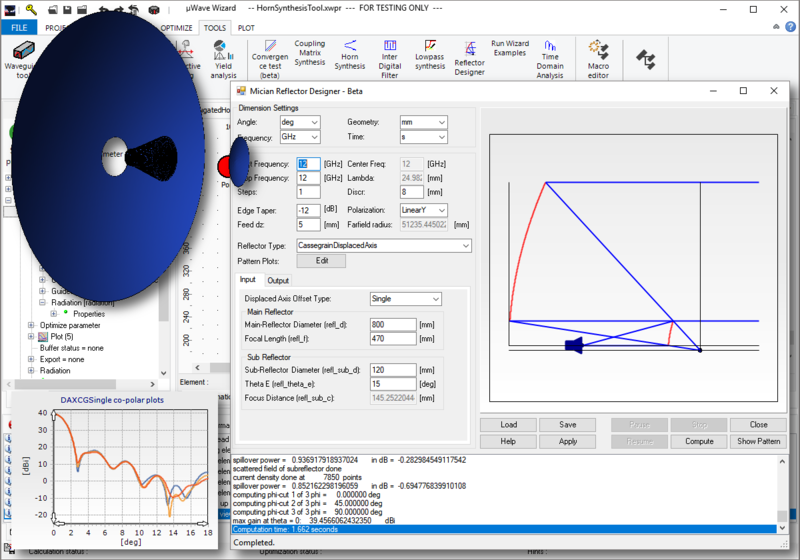 Subsequently, the reflector model will be combined with an actual feed horn instead of the ideal feed source, allowing simulation and optimization of the overall antenna system. 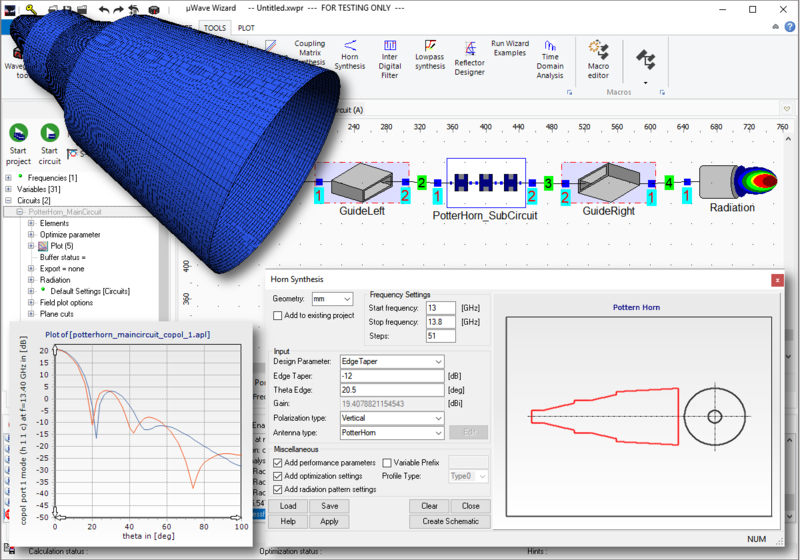 Additional features can be added to this edition, depending on the requirements of your application.